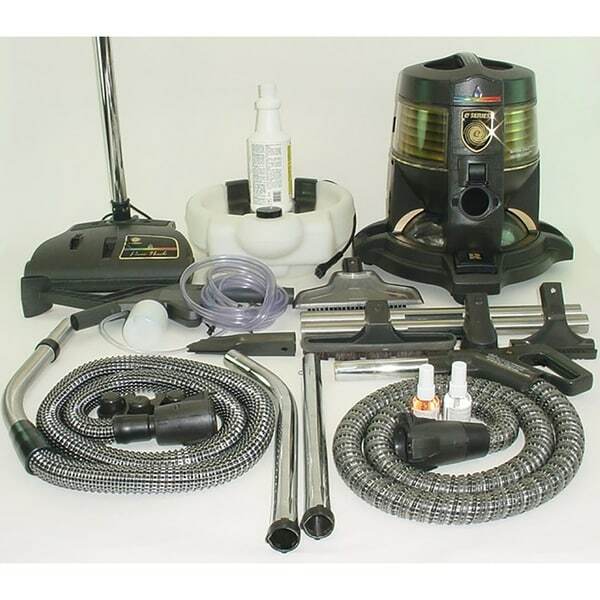 Reconditioned E Series E2 1 speed Rainbow Vacuum Cleaner is a powerful deep cleaning vacuum built to last! Includes reconditioned genuine Rainbow power nozzle, Unbelievable spot remover, GV duster, crevice, floor and upholstery tool, 2 GV fragrances and genuine Rainbow Aquamate 2 that has been fully reconditioned by GV vacuum experts. Rainbows are great and a very popular selling vacuum. They use water to filter with (no need to ever buy bags again) and last for decades (consumer reports reported them most dependable canister vacuum made). So you can use them to vacuum up wet spills (see manual for details) or shampoo your carpets. Powerful motor and genuine sanitized hose with a comfortable grip and convenient trigger to easily turn brush roll on and off. This makes it very easy to transition from carpet to hard floor surface. Wide easy to use new style of power head. Amazing high speed brush roll with edge cleaning brushes. This Rainbow machine has gone through the GV vacuum expert reconditioning process, which entails: Complete sanitation of entire unit and any used items included. Also includes many new quality aftermarket parts and accessories, made to fit Rainbow Vacuums. We are in no way associated with the Rexair company. This vacuum was reconditioned by GreatVacs, not the Rexair company. We at GV are so confident in our vacuum experts that we offer a 5 Year Warranty on all Rainbows that we recondition. I used to have one. I really liked it, it did the job for me.